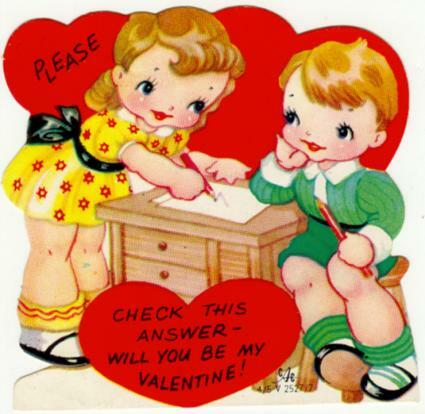 Vintage Valentine's Day cards are popular with collectors of ephemera, and they also offer insight into the values and fashions of bygone eras. Whether you are starting a collection or hoping to learn more about a valentine you already own, it helps to know a bit about where to buy these cute cards and the characteristics of each major style. eBay - An eBay search turns up hundreds of beautiful and quirky vintage and antique Valentine's Day cards from all different eras. The selection changes all the time as auctions come and go, so check back frequently if you're looking for something specific. Etsy - Sellers on Etsy's vintage section offer more than 3,000 different Valentine's Day cards, dating from the 1900s through the 1970s. Once again, the selection changes all the time, so it makes sense to snap something up if you see it. 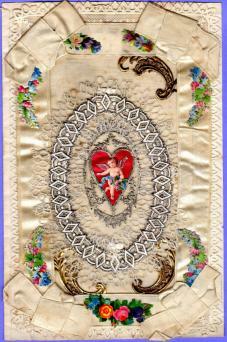 Ruby Lane - This online antiques mall carries a number of vintage greeting cards with a Valentine's Day theme. They date from the Victorian era through the 1980s. Each card is unique, so the selection changes. 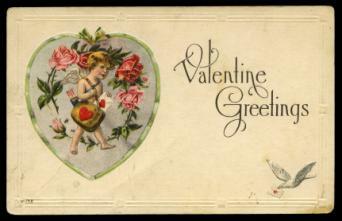 You can also find antique valentines in old scrap books available for purchase at antique stores and flea markets. Since the mid-19th century, people have exchanged greeting cards in celebration of Valentine's Day, and many of these cards still exist. Each era had its own themes and style, and collectors often choose to focus their efforts on one particular time period or motif. Understanding the hallmarks of various eras can help you date your valentine or choose a specific type of card to collect. According to Collectors Weekly, the custom of exchanging valentines truly took off around 1850. At this time, a woman named Esther Howland began a very successful business producing Valentine's Day cards. People in England and the United States also hand-made cards to give to sweethearts. In addition to the valuable insight they provide about the fashions and events of the era in which they were produced, some antique valentines also have a monetary value. You can find these old greeting cards for as little as two dollars, but some examples can fetch over $100. 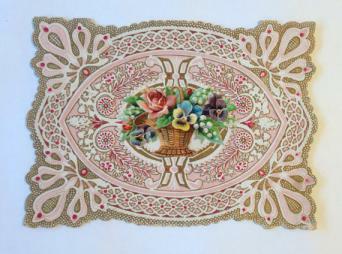 The design or theme should be unique and interesting, rather than a simple floral or heart-shaped card. Ideally, it will feature elements that are related to the events of the era in which it was made. The valentine should be in good condition. It may or may not have writing on it. The card features cartoon characters or celebrities from the era. To get a sense of your valentine's value, you can have it professionally appraised by a specialist in ephemera. To find a local resource, inquire at antique shops in your area. 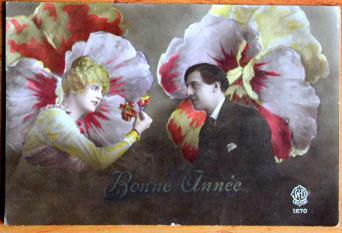 You can also look up similar valentines on Kovels.com or contact the National Valentine Collectors Association for help with identification and appraisal. Vintage valentines offer unique insight into the values and fashions of their eras, and they also offer a charming opportunity for collectors. Whether you are creating a large collection or simply want to enjoy one or two of these unique greeting cards, there's plenty to love about Valentine's Day cards from years past.